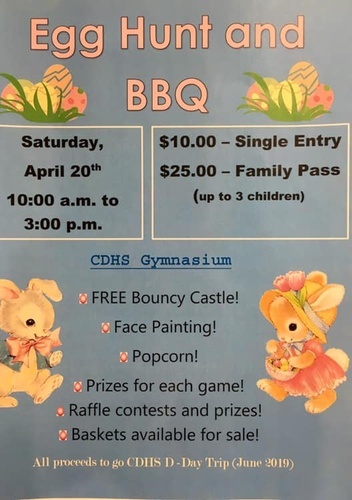 Join us April 20th for some Easter Fun. Proceeds from this event go to 30+kids from CDHS who are traveling to Normandy, France for the 75th Anniversary of D-Day. This year it’s bigger and better. The Easter Bunny, will be making a special appearance and the new photo booth and bouncy castle will be sure to be a big hit.